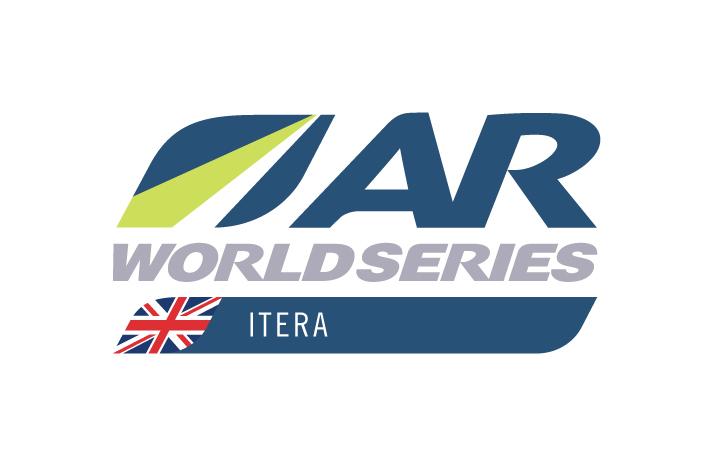 It’s possible to travel from North to South Wales staying in the mountains almost all of the time and competitors in the ARWS qualifier race ITERA have done just that over the past week – and much more. They’ve also explored stunning coastlines, ancient towns, castle ruins, wild mountain bike tracks, magnificent estuaries, and picturesque rivers and waterfalls. On a journey of 640km they have followed an expedition adventure racing course designed by Open Adventure and course planner Tom Gibbs, which has elated, exhilarated and exhausted them in equal measure. When the teams crossed the finish line in Cardiff they were unanimous in declaring the race one of the toughest expedition races they’ve taken part in, and one of the best courses. There were a few unclassified teams, but one way or another every team made it to the finish line, completing as much of the route as they could. 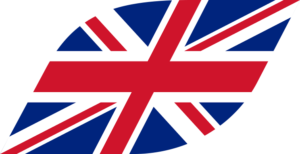 Of the 34 teams which started 6 managed to reach every checkpoint along the way, and the winners were Team adidas TERREX from the U.K. in a time of 93 hours 31 minutes. The race began with an adrenalin rush on the White Water Prologue at Cardiff Bay International Watersports centre before teams transferred to Caernarfon in North Wales for the start. The adrenalin kept flowing as after a start in Caernarfon Castle teams were soon being swept though the infamous tides of the Menai Strait, and not long after that were on the world’s fastest zip line. The mile long ride took less than a minute and had a maximum speed of over 100mph! It spanned a large disused quarry and at the top teams were strapped in and looking down at the full length of the drop ahead of them … a very scary sight! 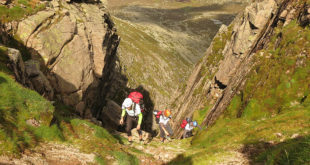 The first two days of the race were affected by unseasonable high winds and these resulted in some of the mountain scrambles which were planned for the teams being pulled from the course, but the first mountain trek across the Snowdonia National Park proved tough enough anyway. Teams crossed Wales’ highest peak, Mount Snowdon, which is only 1085m, but it’s just one of hundreds of mountains in Wales and the total ascent for the 5 day race was estimated at a maximum of 18,000m! The following paddling stage was again affected by exceptional tides and winds and many teams were stopped at the village of Portmeirion. With its Italian themed plaza, palm trees, statuary and fountains this must be one of the most eccentric places ever to have an ARWS checkpoint. It was only safe to proceed at low tide so the teams had to trek across the expansive sands of the Dwyryd Estuary, dragging their kayaks behind them, before continuing to the Mawddach Estuary and across mount Cadair Idris. The central part of the race was a long mountain bike ride across mid-Wales, with stops for orienteering stages at the waterfall at Devil’s Bridge and the Elan Valley, and a special MTB stage on the technical Syfydrin Trail. The many special stages on the route are a feature of Open Adventure expedition races, breaking up the long sections of the course and giving teams the opportunity to explore sporting locations and the cultural heritage of Wales. This extreme weather was too much for some teams attempting the full course and they cut and ran for shelter by the fastest possible route. The final paddle in the race was down the picturesque Wye River and the planners had been concerned that teams might have to drag their boats again due to the historic low water levels – they needn’t have worried! The river rose faster than it ever has before and the last teams only just made it down before the flow became too risky – the Wye had turned from a tranquil river into a torrent in a matter of hours. There was another special stage on the Wye too – a stop for a foot stage at the historic town of Hay on Wye, and there was a twist here too – the map was from 1860! Not so much orienteering as victorienteering. The final trek took teams into the Brecon Beacons, training ground for the S.A.S. regiment and the weather finally relented, but with the cloud cover gone the exhausted and wet teams were soon very cold if they chose to stop. On the final stages the challenges kept coming – a caving section, another technical MTB Trail and a stop at one final castle (the 4th on the race) and then the teams were riding back to Cardiff Bay, to finish in the public plaza outside the Welsh Assembly building. 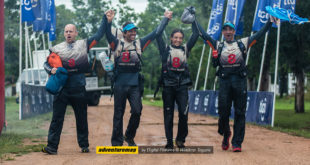 Team adidas TERREX were first across the line, carrying the Union Jack, maintaining their unbeaten record in Open Adventure expedition races and claiming their place on the start line of the World Championships in Quito, Ecuador in November. The challenge of the international teams fell away towards the end of the race and the top 3 teams were from the UK, with Walhalla from S. America 4th and adventureteam.dk/Salomon 5th. Sweco of Sweden had initially finished 3rd, but suffered the disappointment of finding out they’d missed a checkpoint and they were best short-course team and 7th overall. At the closing ceremony Open Adventure announced that the next ITERA race would be in Ireland in 2016. 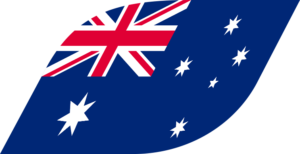 The next and last ARWS qualifier for 2014 is Raid in France, which begins on Sept. 13th and the AR World Championships in Ecuador takes place from 7-19th November.